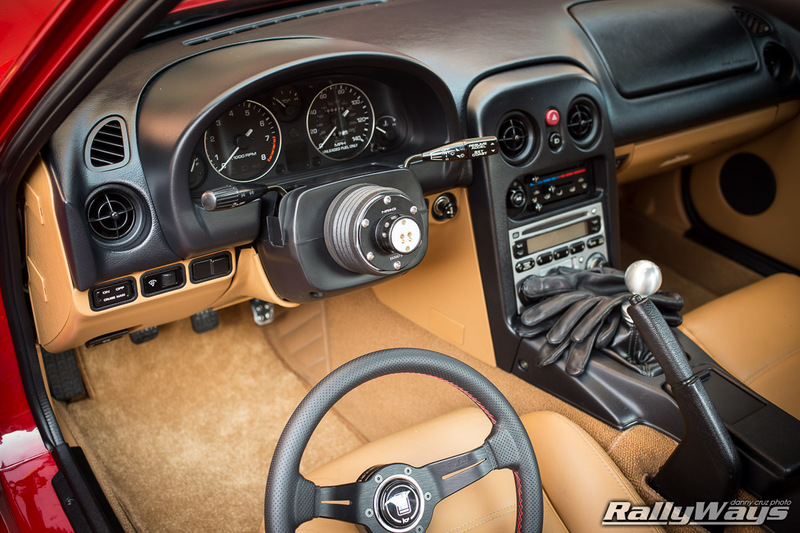 Here we look at using a NRG Quick Release 2.0 on the RallyWays Miata. 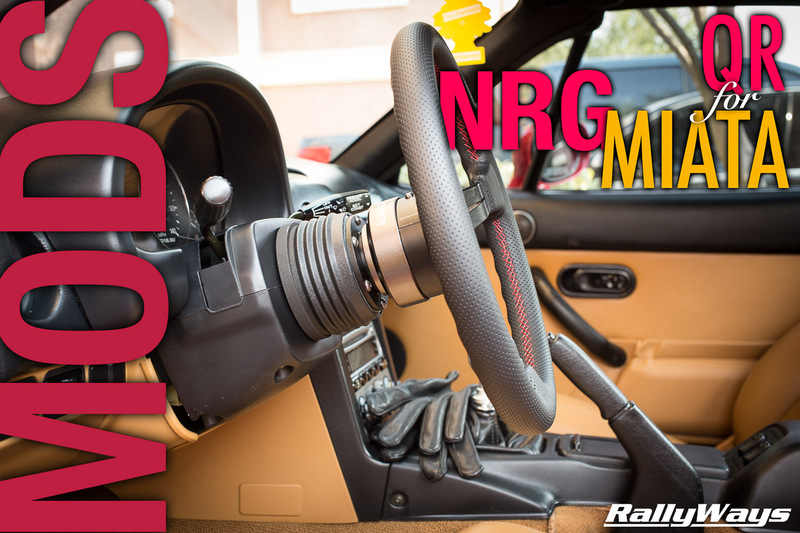 The NRG QR 2.0 is installed between a MOMO hub for Miata and a Nardi Deep Corn 330mm steering wheel. I recently acquired a NRG Quick-Release 2.0 for the RallyWays Miata. It’s the simple black version QR with titanium rim. Simplicity for the win. I had held out for a while as I really wanted a JDM Works-Bell quick release. Thing is, the Works-Bell QR is about 3 times the price of the NRG QR 2.0 and I somehow always found better ways to spend my money. Finally, I decided to put my part snobbery aside and go with the NRG Innovations unit. 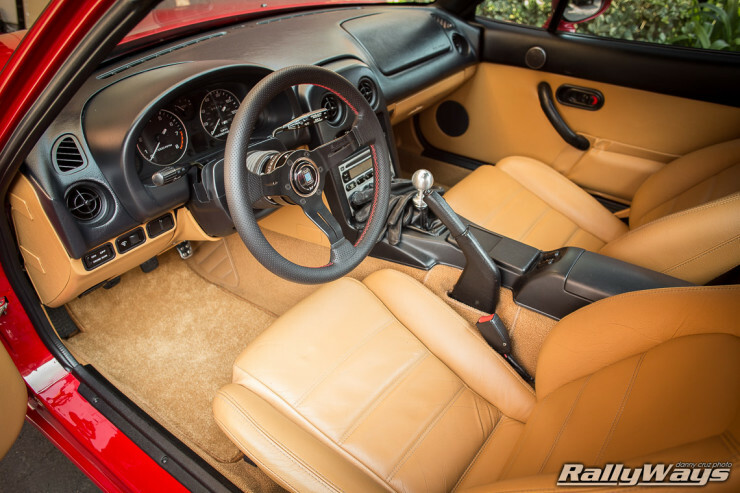 How well does the NRG QR fit a Miata? In the title I say, “NRG Quick Release for Miata.” But generally, it’s the hub that needs to fit the Miata and not the QR itself. The quick release is a bit more of a universal part. So long as you have a hub boss that will fit the bolt pattern. The steering wheel side of the quick release works with both MOMO and Nardi bolt patterns. The hub side of the QR worked perfectly with my MOMO hub. That side only had one bolt pattern, so be sure to double check for fit. I suspect it would not fit a Nardi hub. NRG might make a different hub-end bolt pattern but I’m not sure. The part number for this version and color combo is SRK-200BK. 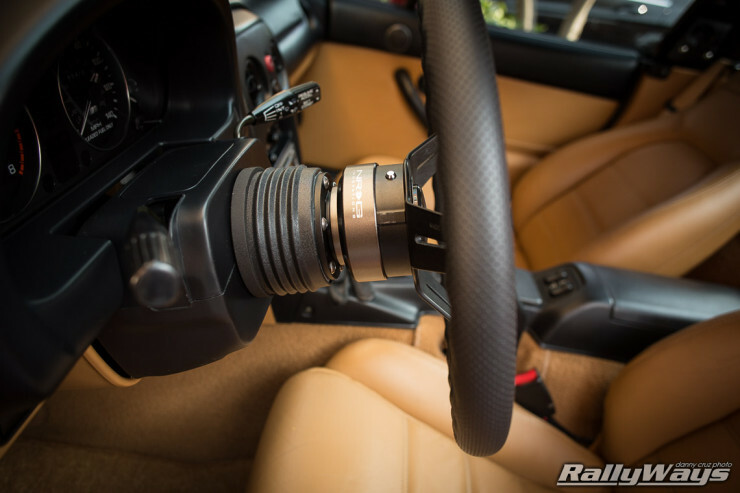 Long story short, I was running a 1″ spacer on a MOMO hub for Miata to get the steering wheel a bit closer to me for a more sporty driving position. My offset setup was 2.25″ hub + 1″ spacer converter + 2″ steering wheel = 5.25″ (stock is 5″). However, given the spacer is a MOMO to NARDI converter, it put the wheel slightly off center because if the offset bolt pattern. I would have to center it by adjusting the tie rods under the car. Before I went ahead and did that I decided to remove the spacer and give the NRG steering Quick-Release for Miata a shot. I just might be able to get the wheel centered using that and not have to fiddle too much with the tie rods. 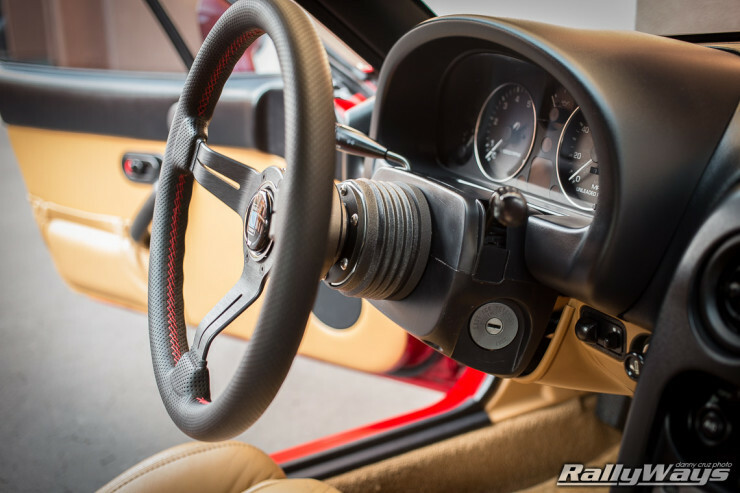 The NRG Quick-Release is 2.5″ thick, so it would put the steering wheel another 1.5″ towards me. Given I insist on the MOMO hub and not the NRG short hub, the steering wheel is slightly closer to me than if I were using the NRG QR 2.0/NRG Short Hub setup. After installing the NRG QR, which took much longer than it should’ve – not the quick-release’s fault but rather that I had to remove the MOMO hub with an improv puller and it took me forever – I noted a few things. 1. I couldn’t get the steering wheel perfectly straight using this setup, but it is much closer to center now. I’m still going to have to adjust the tie-rods to center the thing. I’ve concluded it just comes with the territory. 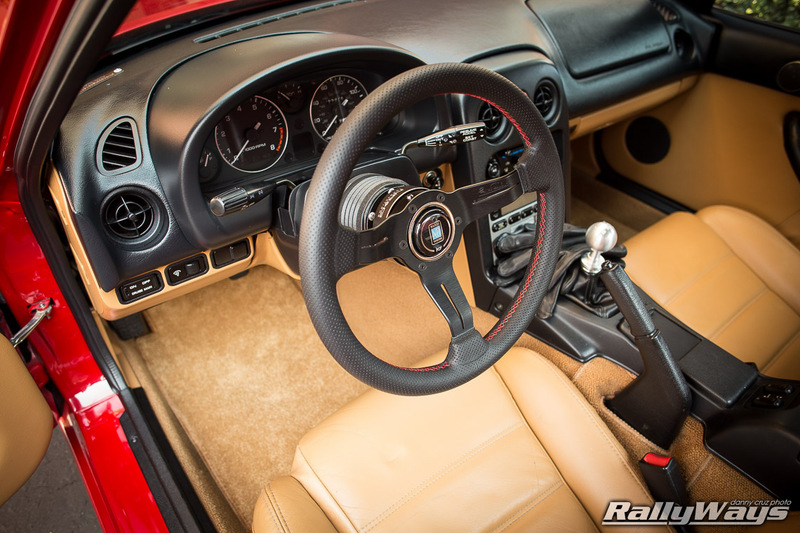 If you switch out your stock Miata steering wheel, whether you’re using a converter or not, you’re more than likely going to have to fine tune your tie-rods to center your steering wheel. 2. The steering wheel feels much closer to me than I expected. 1.5″ in increased offset is actually quite a lot. It’s OK and I’m going to attempt to get used to it. The main issue I found is that now it requires quite a reach to actuate the signal and wiper stalks on the steering column. I’m aware some guys modify those and bend them a bit closer. For now, I’ll get used to them as they are. Regardless, keep in mind this is because I insisted in using the deeper MOMO hub because of its crushable design. If you use a short hub like the NRG short hub, the position will be considerably closer to stock. The position is much more like a track car, but still not even close to race car. The NRG Quick-Release 2.0 is quite well-built and well designed. There is absolutely no slop, the engagement and disengagement is assertive and confidence inspiring. The part looks good as well. Ingress and egress is easier with the steering wheel off. 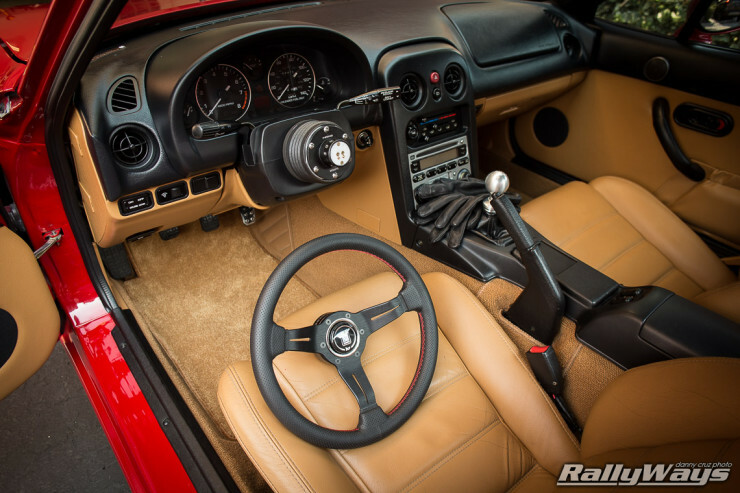 Plus there is always the benefit of not ripping into the nice Nardi wheel’s leather with jean pocket studs as you get in and out of the car. Don’t tell me that hasn’t happened to you. Miata stock steering wheel offset is 5″. 2.25″ MOMO hub + 1″ spacer/converter + 2″ Nardi Deep Corn 330mm = 5.25″ offset. 2.25″ MOMO hub + 2.5″ NRG QR + 2″ Nardi Deep Corn 330mm = 6.75″ offset. For detailed photos and dimensions of the MOMO hub go here. 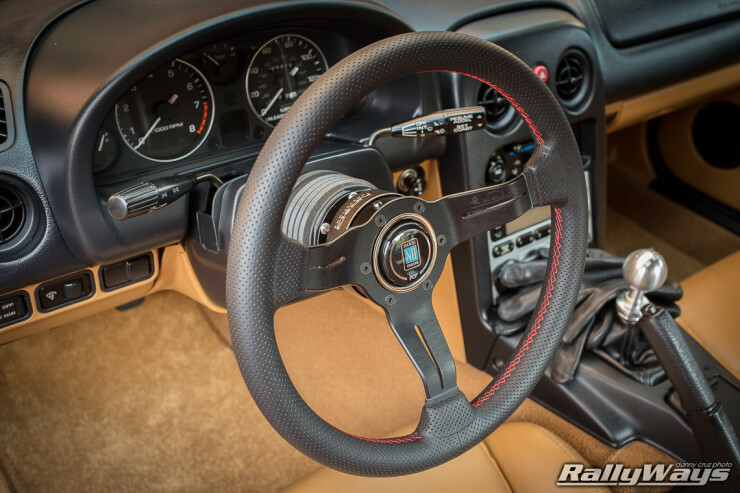 For detailed photos and dimensions of the Nardi Deep Corn 330mm steering wheel go here.